"Quite rare, really, but it's actually not a long-term injury at all", Wallabies coach Michael Cheika told reporters at Sydney airport on Sunday ahead of the team's flight to Auckland. Australia, who were frustrated by referee calls all afternoon, then lost full-back Israel Folau to a possible ankle injury as Naholo dismantled their defence, twice. Maddocks scored Australia's only try on his Test debut after replacing winger Dane Haylett-Petty for the final 25 minutes on Saturday night and Cheika said he'd have no hesitation starting the 22-year-old should Folau be ruled out. Of even greater concern for the Wallabies than being without their attacking trump is fixing their shaky set piece after losing seven of their eight lineouts and conceding several scrum penalties in the series opener. "They put us under pressure, turned over the ball and they ran in some quality tries". "It was crucial", he said. "Between himself and Banks they'll be looking to fill that spot this week during training and whoever gets the opportunity I'm sure will go well". "I think the resilience within the boys was awesome". The Wallabies must win at Eden park for the first time since 1986 to have any chance of reclaiming the Bledisloe Cup. 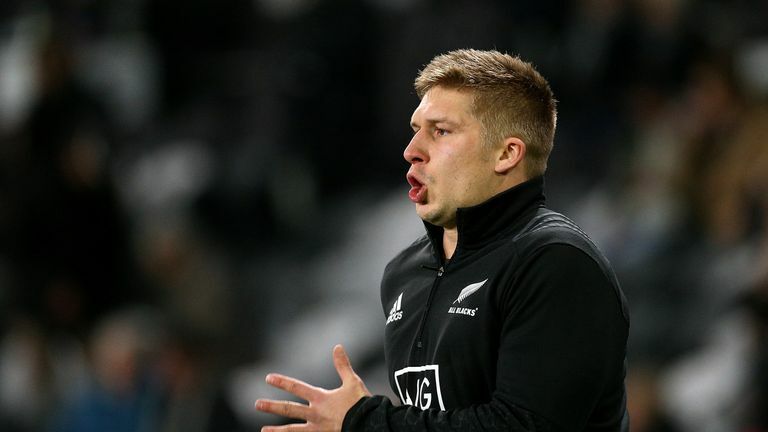 In a chilling warning to the Wallabies, coach Steve Hansen insisted the All Blacks still had plenty of improvement to come. "We'd be silly to think they haven't got another player who's going to step in and wear the jersey with pride and urgency". "The first half was like two big bulls in the ring head-butting each other", Hansen said. Then it was our turn to have our moments and whilst we didn't capitalise like we would have liked to have in that 20 minutes we certainly made them work hard. Nous l'avons fait pour nous-mêmes. "Mais c'est l'avis de José, d'autres personnes vous diront qu'elles ont aimé, et d'autres non". Ce dimanche, en conférence de presse, Pep Guardiola lui a répondu après la large victoire face à Huddersfield (6-1).